In this new study, IT Security Leaders share their views on the state of security today, including future threats to your business: DDoS attacks, ransomware, malicious botnets and IP address hacking. Fill out the form below to gain insights and learn best practices in defending against these threats and more. 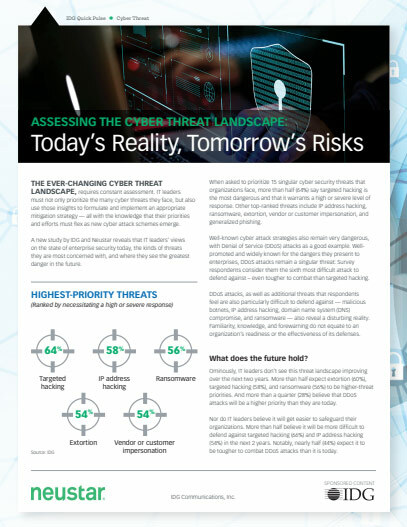 Thank you for downloading Assessing the Cyber Threat Landscape: Today’s Reality, Tomorrow’s Risks!